SSBC Performance Brake Systems 4-Piston Front Disc Brake Kits are the most complete and highest quality product on the market. SSBC Performance Brake Systems 4-Piston Front Disc Brake Kits feature a 4-piston caliper that is 100% made in the USA! 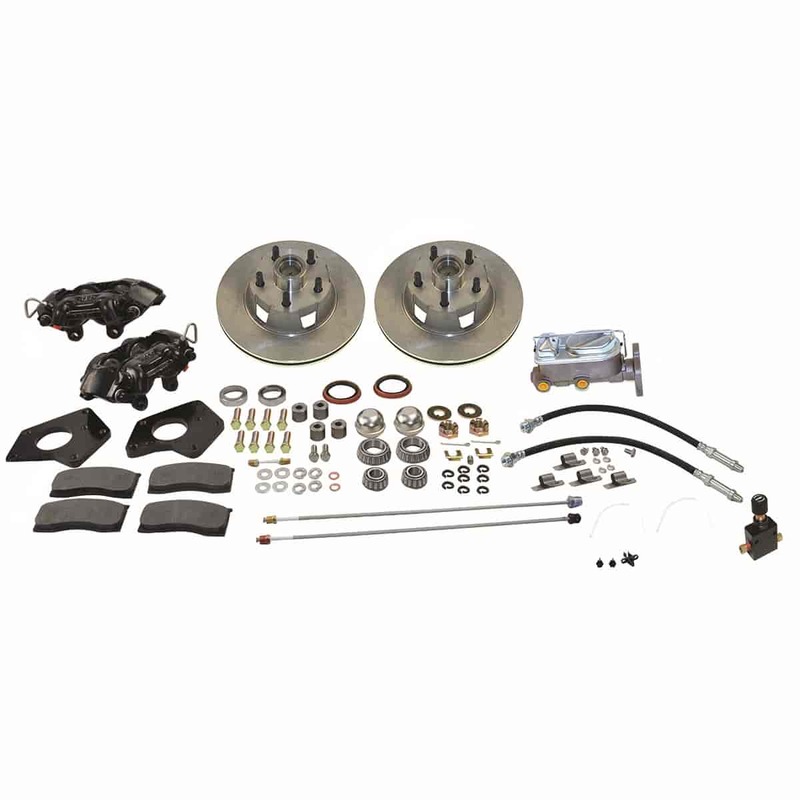 SSBC Performance Brake Systems 4-Piston Front Disc Brake Kit calipers include stainless steel pistons, transfer tubes, and bleeders, and each has an e-coat throughout the caliper, making it entirely corrosion resistant. All standard conversion kits include the necessary components for an easy install. Does SSBC A153 fit your vehicle? Fitment_Note: Minimum Wheel Size 14 in.